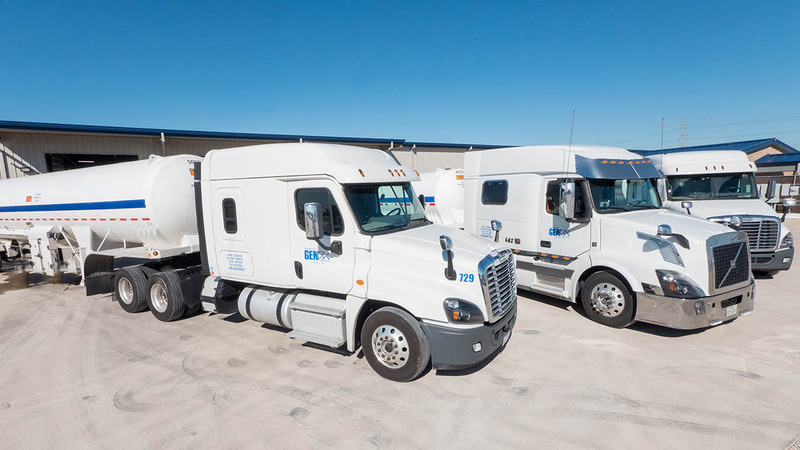 GenOx Transportation’s tractor trailer fleet , made up of independent contractor tractors & an ever growing supply of specialized trailers is ready to meet the demands & challenges of customers in the industrial gases marketplace. Our independent contractor fleet of tractors integrates technology with safety. For example, all of the tractors are equipped with roll-stability systems. 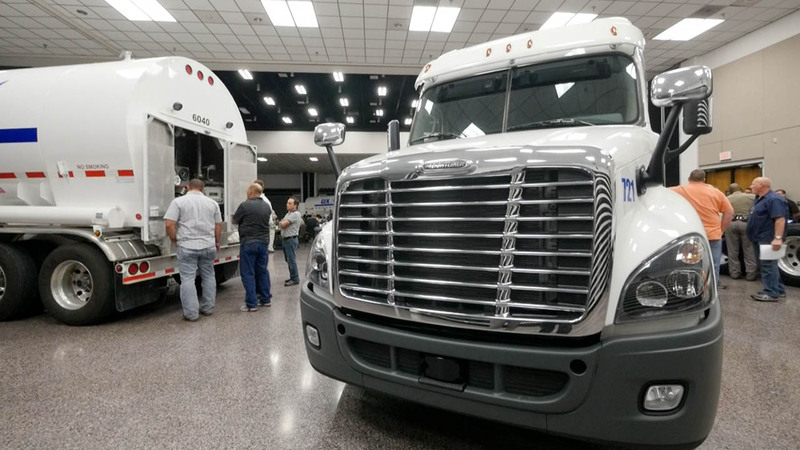 All new tractors include a 450-horsepower Detroit DD13 engine, Eaton Fuller 10-speed transmission, and Meritor drive axles. Safety-related technology include Meritor WABCO’s roll stability hardware and OnGuard collision-avoidance system and Bendix disc brakes. The tractors are also California CARB Certified. 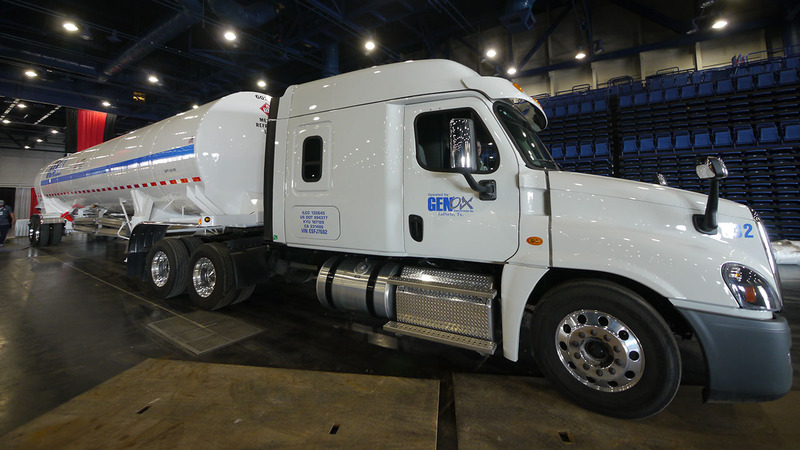 GenOx owns nearly 200 specialized trailers enabling us to support the changing needs of the industrial gas market. We continually evaluate the needs of our customers when making a purchasing decision for new equipment. 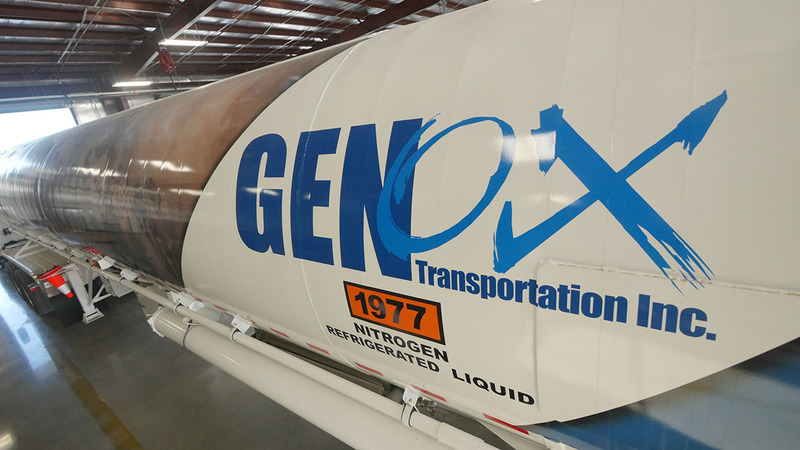 GenOx buys trailers with aluminum or stainless steel cargo tanks, depending on application. 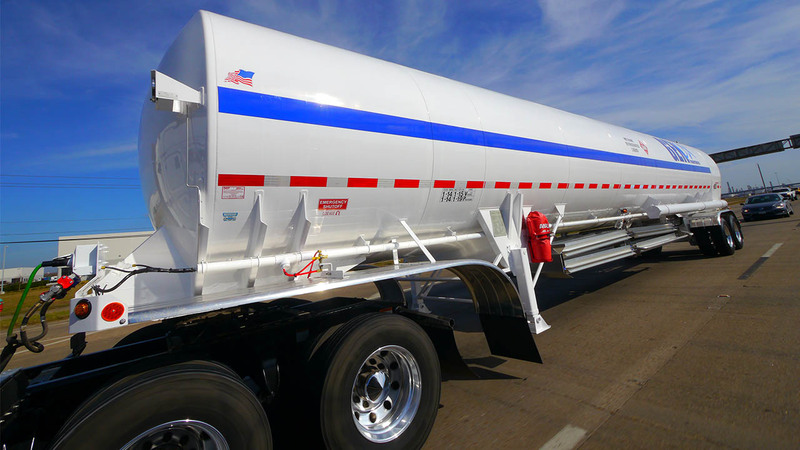 In most cases, our trailers are dedicated to specific products, and we want the maximum capacity for each product. Trailers are super insulated with a high-efficiency fiberglass. 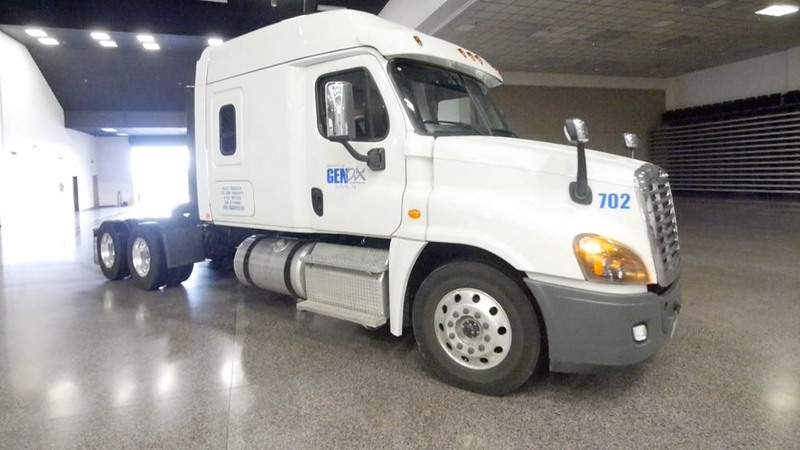 All new trailers are ordered with Meritor WABCO roll stability, Bendix air disc brakes, and Michelin wide based tires. 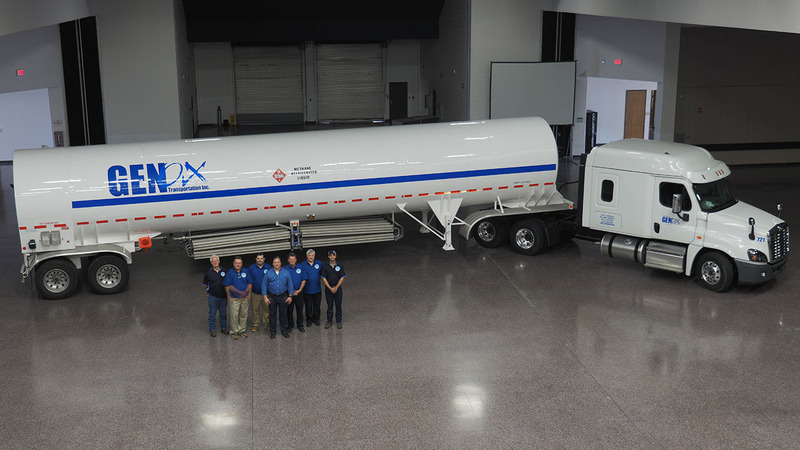 GenOx trailer fleet is capable of servicing customers demanding a variety of gases, including nitrogen, oxygen, argon, carbon dioxide, hydrogen, helium and liquefied natural gas (LNG).